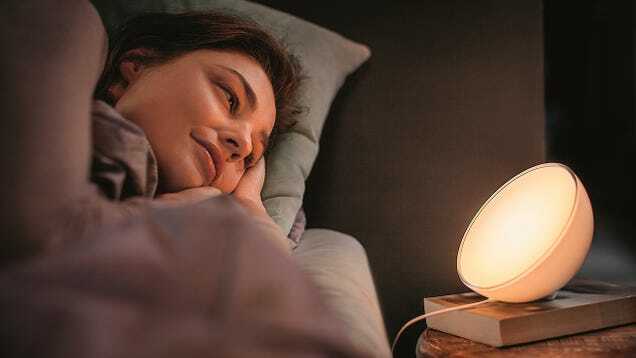 Philips’ Hue line of bulbs and other smartphone-controlled lighting accessories have been some of the more popular and successful home automation products of the past few years. 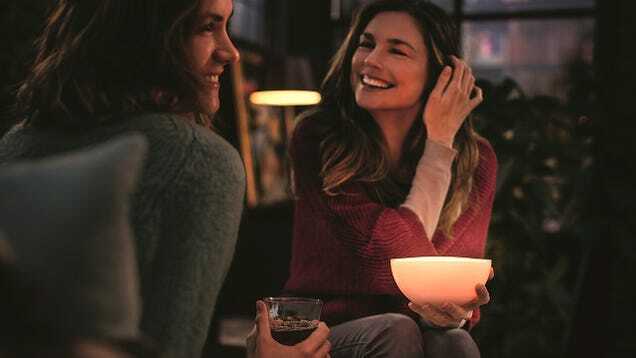 They’re easy to setup, easy to customise, and now easy to use anywhere you need thanks to the new Philips Hue Go, which is powered by a rechargeable battery. Like the bulbs and other fixtures in the Hue line, the Go will work indefinitely while it’s plugged into a power outlet. But after about an hour-and-a-half it will be fully charged and can then be freed from its tether and will continue to glow for about three hours. You don’t even need to ensure the Hue Go is still within range of your home’s Wi-Fi network because while it can be controlled using whatever Hue mobile app you prefer, it also has its own control buttons for turning it on or off, or adjusting the spectrum of colours it cycles through.